Former Hearts winger David Milinkovic has joined Hull City. 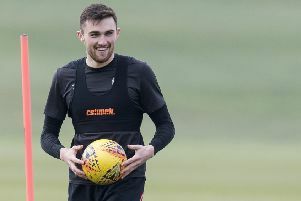 The 24-year-old Frenchman, who spent last season on loan at Tynecastle from Italian side Genoa, has signed a three-year deal at the KCOM Stadium with a one-year option. Hearts were hopeful of securing the permanent signing of fans’ favourite Milinkovic after agreeing a transfer fee with Genoa. However, the player’s wage demands went way beyond the Capital club’s budget. Tigers head coach Nigel Adkins said: “David is a talented, skilful player and we’re delighted that we’ve been able to bring him to Hull City when we know that a number of other clubs were also looking to sign him.